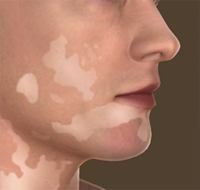 Depigmentation is the process of losing normal skin color or melanin pigment and producing light or dark color patches. This can occur due to burn injuries, sun burn, during the birth stage, or because of hereditary. Permanent depigmentation is a technique of imparting homogeneity in color throughout the body, even if it is not the patient's original color. The goal of depigmentation is to restore the skin to one color, eliminating the patches. Some of the drugs that cause permanent depigmentation are hydroquinone, and benoquin (monobenzone) creams. Benoquin (monobenzyl ether of quinone) is a depigmenting agent available as cream which can be prescribed for permanent depigmentation in vitiligo patients. It causes destruction of melanocytes which produce the melanin pigment in the skin. This discoloration does not occur immediately but takes around 1 to 4 months during which the normal skin color is lost. Benoquin 20% cream is applied two or three times daily. This cream is not recommended for use in people who have freckles, or excessive production of melanin pigment such as with melasma. Benoquin 20% cream disturbs the normal unaffected skin and can also cause more patches. It should be used only in severe cases of vitiligo where the patches cover more than 50% of the body area and it has been resistant to treatment with other drugs. It may cause sensitivity in people who have allergies and is not recommended for use in pregnant and breast feeding women. Disadvantages associated with Benoquin include skin irritation, burning sensation, and dermatitis. 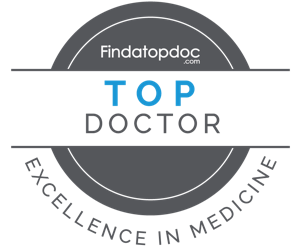 Another disadvantage of the treatment is that the patient will require life-long avoidance of sun-exposure and correct and frequent use of sunscreens and sun-protective clothing.